Special interest in coronary intervention, transcatheter aortic valve therapies, complex PCI, pharmacotherapy regimens for ACS and atrial fibrillation, and is a general cardiologist. Recently returning to Australia having completed Clinical Fellowships and Postdoctoral Research in Ottawa and Vancouver, Canada and New York, USA in Percutaneous Coronary Intervention, Transcatheter Aortic Valve Intervention (TAVI) and Structural interventions, Dr Jaya Chandrasekhar joins our expert Cardiac Intervention team. Dr Chandrasekhar provides general cardiology consultation from GenesisCare Heidelberg, Bundoora, Balwyn and Doncaster East suites and performs interventional procedures through Warringal Private Hospital, Heidelberg. She also leads the 2. She also leads the Rapid Access Chest Pain Clinic at Bundoora, Doncaster East, Warringal Private Hospital and Balwyn. Her public work is carried out through Box Hill Hospital. She holds an Adjunct Clinical Associate Professor position with Monash University and Eastern Health Clinical School. Having gained several qualifications during her extensive training in Australia and overseas, Jaya brings a wealth of experience to our local team, particularly within the specialised fields of Transcatheter Aortic Valve Therapies, structural heart interventions, complex PCI, pharmacotherapy regimens for acute coronary syndromes and atrial fibrillation, and women’s health. 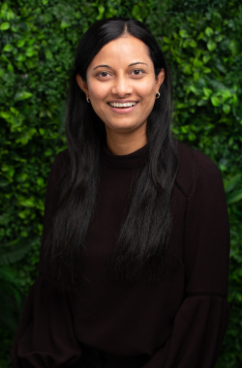 Principal Author of a number of peer reviewed publications in high impact journals, Jaya’s expertise is underpinned by her dedication to medical research and commitment to improving patients’ lives by tailoring treatment plans to incorporate evidence-based medicine with cutting-edge procedural experience.